Hello! Everyone. 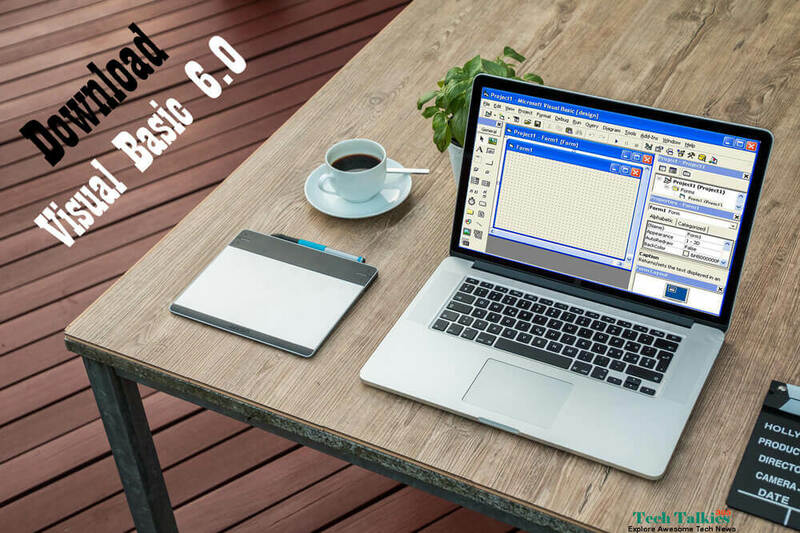 Free Download Visual Basic 6.0 Portable Version for Windows and Learn Programming. This version of visual basic 6.0 is tested on Windows XP, Windows 7 and Windows 8, Windows 8.1 and Windows 10. So, If you are searching on Google for Visual Basic 6.0 Portable then this article is for you. Visual Basic is a high-level programming language evolved from the earlier DOS version called Basic. Basic means beginner. Visual Basic is a Microsoft Windows programming language. Visual Basic programs are created in an Integrated Development Environment (IDE). The IDE allows the programmer to create, run and debug visual basic programs. You can develop applications for Windows OS by using visual basic, it is a software development program for Windows. Visual Basic is a part of Visual Studio package. If you want to use only visual basic then you have to download the total package of visual studio. The size of this total package (Visual Studio 6.0) is more than 600 MB. But I know that you have no need all those applications of Visual Studio package. You want only Visual Basic and I’ll give you only Visual Basic (Version 6.0) within 11 MB. I’ll share two versions of portable Visual Basic. VBC6.EXE is a utility designed to fix License problems with ActiveX Controls that ship with Microsoft Visual Basic 6.0. The utility will not fix third party control or controls not normally installed by Microsoft Visual Basic 6.0. Now it’s time to download Portable version of visual basic. Note: Those portable versions are not comfortable for large project. If you want to run small programs, then it will be very helpful for you. If you want to create a large project by using visual basic then you have to use the full version. Visual Basic 6.0 Complete Installation Guide. Extract the ZIP (compressed) file and run VB6.exe file. If you are using Windows 7 or Windows 8 then it should be needed. Step 1: Right click on the VB6.exe file and go to properties. Step 3: Tick the check box of “Run this program in compatibility mode for” and change it into the latest version of the operating system which are shown in the list. Perhaps you will get it up to Windows 7. I think it will work properly if you have done this step correctly. Enjoy!!! I hope you like this article about Download Visual Basic 6.0 Portable. If this helps you. Let me know in the comments below if you find any issues to configure any settings.